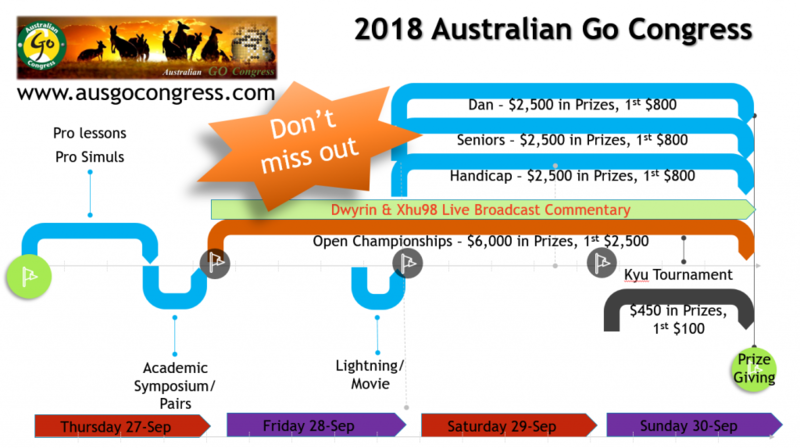 The main focus of the Go Congress is the tournament games however we are also holding lessons, simultaneous games, a lightning tournament, an academic symposium, at team/pair Go tournament and will be broadcasting games from division live on the internet. Here’s a summary of the events. Lessons & Simul games – see the timetable and the professional profiles page for more. The pro players will also review games during the course of the Congress – just ask them.